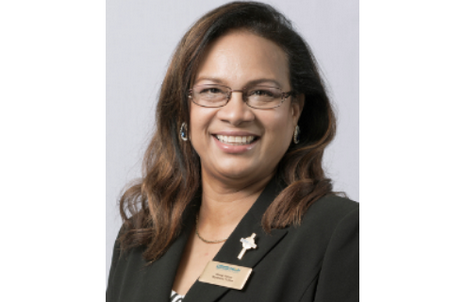 “I am delighted to accept the role of Worldwide President for the new triennium. I feel very excited and privileged and I extend my heartfelt gratitude to our members who voted to make this dream a reality,” says Mrs Harper. Sheran took take up her new position on 1st January 2019. We wish her every blessing in her role as Worldwide President. June Butler MBE was elected to take up the role of All-Ireland President of Mothers' Union and we wish her every blessing in this new role. 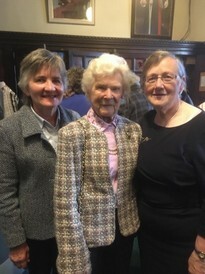 The Mothers’ Union All-Ireland Commissioning Service of All-Ireland President June Butler MBE took place in Down Cathedral, English Street, Downpatrick BT30 6AB Northern Ireland on Sunday 24th March 2019 @ 3p.m. 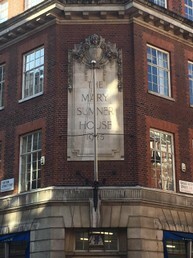 The new Trustee Board was also commissioned at this service. June, who is a parishioner of Saintfield Parish, has been the MU Down and Dromore Diocesan President since January 2016. 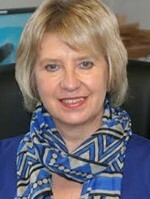 June is a member of both Down and Dromore Diocesan Council and General Synod. Our Diocese was represented at the commissioning of Mrs Sheran Harper as World wide President of Mothers' Union in Southwark Cathedral by the Archbishop of Canterbury, The Right Revd. Justin Welby on Tuesday 26th February 2019. The new global Trustee Board was also Commissioned by the Archbishop. They are Nikki Sweatman (South of England), Rev Libbie Crossman (Aotearoa, New Zealand and Polynesia, Australia, Melanesia, Papua New Guinea), Canon Catherine Hilton (North of England), Jennifer Barton (Wales), June Buter (All Ireland), Thembsie Mchunu (Central Africa, Nigeria, South Sudan, Sudan, Southern Africa, Kathleen Snow (Canada, South America, U.S.A, West Indies), Roshini Mendis (Korea, Myanmar, North India, South India, Sri Lanka), Paul Hindle (Scotland), Deaconess (Mary Kamwati (Kenya, Tanzania, Uganda, Jerusalem and the Middle East) and Marie-Pierrette Bezara (Burundi, Congo, Indian Ocean, Rwanda, West Africa). 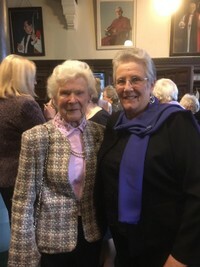 The Commissioning of June Butler, All-Ireland President of Mothers' Union, and the new Trustee Board took place in Down Cathedral on Sunday 24th April 2019. We wish them all well as they guide and lead Mothers' Union into the future. Mothers' Union is a global Christian membership charity that has been providing a support network for families since 1876. Working through our 4 million-strong membership we campaign for policies which strengthen family life. Our focus on ending gender-based violence is promoted not only through advocacy, but through working sensitively with communities for increased gender equality. Our focus on improving the lives of children is a combination of lobbying for political change on issues such as commercialisation of childhood, and on practical outreach in the provision of parenting groups. Our members work with families who are going through times of stress and hardship bringing spiritual and practical support. 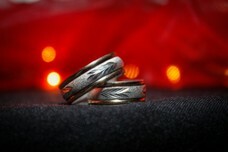 Working as ambassadors for Christ our goal is to see all people enjoy loving, respectful and flourishing relationships. Mission: To demonstrate the Christian faith in action by the transformation of communities worldwide through the nurture of the family in its many forms. Values: Mothers' Union is firmly rooted in a voluntary ethos. Its governance, leadership, and programmes are driven by and undertaken through members around the world as they respond to God's call to faith and action. God of my yesterdays and of my tomorrows you have used my past to shape me into the person I am today. Now, as I look forward, give me courage and an open mind; help me trust that you will share with me whatever my future brings. Then may I remember with wonder The way that you have met my need. Mothers' Union produces many parenting leaflets and leaflets for families. Click on the images on your left to download some of these leaflets. Click on the image on your right to watch a video telling you all about Mothers' Union. 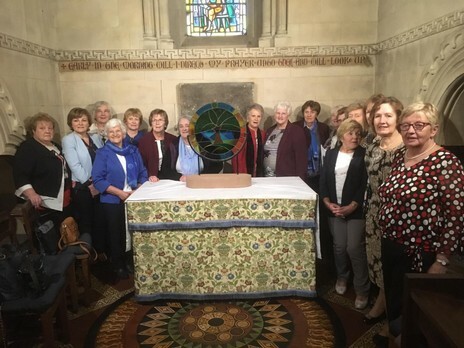 A Service of Thanksgiving for Mothers’ Union was held on 6th October 2018 in Christ Church Cathedral to mark the end of the current triennium. Mothers’ Union is deeply grateful to Very Reverend Dermot Dunne, Dean of Christ Church Cathedral for his invitation to the Cathedral. 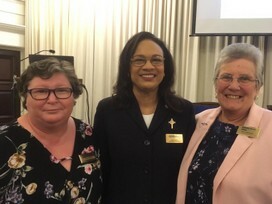 This was an opportunity to join together and to give thanks to God for all that He enabled Mothers' Union to achieve over the past triennium. 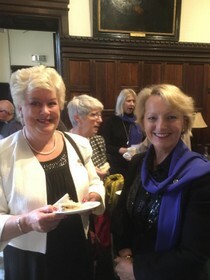 The service was very special indeed and it is hoped that it is something that can be continued into the future. 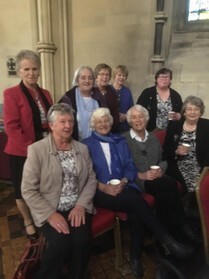 It is a feature of Mothers’ Union in York Province and the Trustees of Mothers’ Union hope that it is something that can be continued into the future in Ireland. 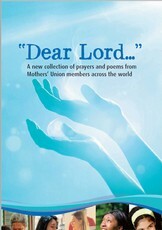 The very foundation of Mothers’ Union is the love and presence of God in our hearts. Many members from around the Diocese travelled to Dublin for the service and also some members joined the choir for this special occasion. 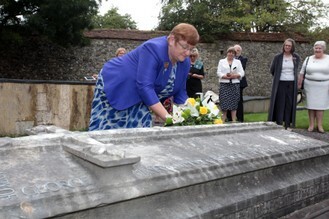 The piece of stained glass to commemorate 130 years of Mothers’ Union in Ireland was also dedicated at this service. 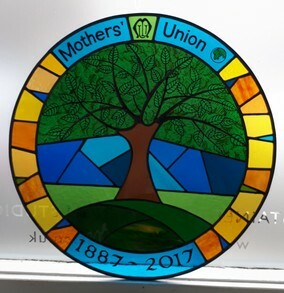 This beautiful piece of stained glass was commissioned to celebrate 130 years of Mothers’ Union in Ireland ~ 1887 - 2017. Above is a slideshow of photographs from All-Ireland Council in Leixlip on Saturday 3rd November2018. 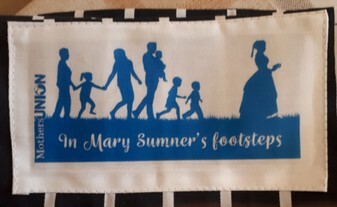 It features the tea cosies entered in "The Mums in May" competition, prize winners and the presentation to Phyllis Grothier to mark the end of her term as All-Ireland President of Mothers' Union. 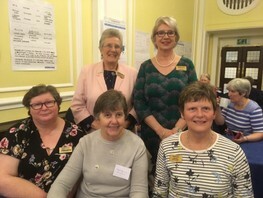 What Does Mothers' Union Do? 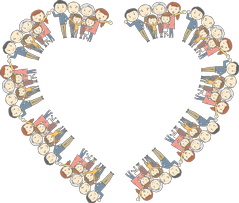 Promote Christian marriage; Marriage preparation: Encourage parents and carers through Mothers' Union Parenting Groups: Running Parent and Toddler Groups; Volunteering in Child Contact Centres: Helping children and families feel welcome in Church. Caring for families in need; Working in partnership to support victims of domestic abuse, refugees, asylum, seekers and the homeless, etc; Offering holidays to needy families; Befriending families of those in Prison. 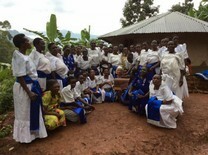 Training Mothers' Union Workers in their local communities; Promoting Parenting and Literacy and Development; Initiating Family Life Programmes; Supporting Mothers’ Union Overseas and Relief Funds. Drawing attention to social concern issues; Supporting gender equality; Lobbying Governments; Contributing to programmes at the United Nations; Promoting Fair Trade. 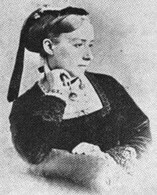 Prayer is at the heart of everything we do in the Mothers' Union. 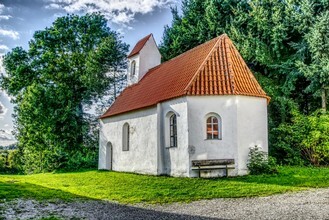 Members in Ireland are linked with members around the world through the Wave of Prayer and from time to time visits are exchanged. Within Ireland members enjoy fellowship through the development of North/South links between Dioceses and individual Branches.